Dr. Yeh is a Prosthodontist specializing in comprehensive restorative, cosmetic and implant dentistry. He is a University of Washington Graduate. Why choose Dr. Michael Yeh? A Remarkable Education / An Implant and Prosthodontic Specialist for over 28 years! Dr. Michael Yeh D.D.S., M.S.D., P.S. is recognized for his excellent comprehensive restorative, cosmetic and implant dentistry. Dr. Yeh is the only Board-Certified Diplomate of the American Board of Oral Implantology / Implant Dentistry in King County, WA. The Diplomate status symbolizes the highest level of competence in Implant Dentistry which is obtained through a rigorous examination process. He is a Certified Prosthodontist – a specialist who has successfully completed an additional three year advanced program in prosthodontics and implant dentistry that provides him the added expertise to diagnose, and treat the most complex dental problems. He completed his prosthodontic residency and received his Specialty Certificate in Prosthodontics and Master of Science in Dentistry Degree (M.S.D.) 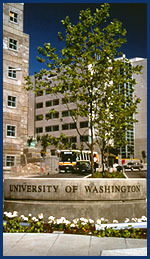 from the Graduate Prosthodontic Program at University of Washington. He is also a fun and kind-hearted person. Check out this video of him dancing to Drake’s “In my feelings” challenge, with over 60,000 views! Dr. Yeh is the only implant dentist in Washington State who holds all Fellow, Master and Diplomate status of International Congress of Oral Implantologists, the highest honor given only after extensive case documentation and oral examinations. Extensive Specialist Training, Experiences and Continuing Education mean better diagnosis, the newest and most innovative and more predictable treatment for you. You deserve a Specialist! You deserve to enjoy food more, have beautiful and lasting smiles! Schedule your appointment today! Dr Michael Yeh is an Clinical Assistant Professor of Graduate Prosthodontic and Restorative Department at the University of Washington’s School of Dentistry. He lectures nationally as well as internationally on comprehensive esthetics, treatment planning and all phases of advanced implant dentistry. 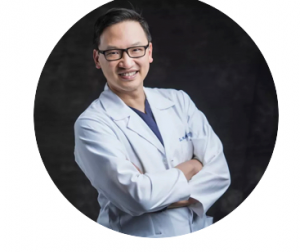 Dr. Michael Yeh specializes in Fixed Prosthodontics (Cosmetic Crowns, Bridges, Veneers and Full Mouth Reconstruction), Removable Prosthodontics (Dentures and Partials), Implant Prosthodontics and Maxillofacial Prosthodontics such as Obturators. Dr. Michael Yeh also specializes in integrating braces, implants, and gum sculpting (lifts) to produce the best results. He has served as Board Examiner for the Board of Prosthodontics for Oregon State on occasion. Dr. Yeh has practiced dentistry for over 28 years. Extensive training and experience in implants, prosthodontics and all fields of dentistry has made him uniquely qualified to provide you with better diagnosis and treatment. Knowing the pros and cons of different treatment options, you can be sure that you are making the right decision for yourself and will be getting successful results that fits your needs. Dr. Yeh has always made it a priority to research the most predictable and effective techniques, materials, and instruments in modern dentistry. Advanced technologies allow patients to enjoy better, faster, healthier smiles that are more beautiful and comfortable than ever. Dr. Michael Yeh has extensive experience in dental laboratory techniques, allowing him to provide his patients with some of the most beautiful results. He specializes in treating patients who are anxious or fearful. Dr. Michael Yeh is known for his wonderful chair-side manner and the beautiful smiles he creates. “I have now been practicing for over 28 years. A lot has changed over the past 28 years. I see people who have dental problems and when I am finished with their treatments, they are happy. “We change people’s lives.” I listen to what my patients say. The patient and I decide what type of dentistry needs to be done and what is to be done first. I diagnose the patient’s mouth the way I would diagnose my own family. I will tell you everything about your treatment, make my recommendations, give the alternative treatments and then let YOU decide what services you would like performed. You will not feel like any treatment is being “pushed on you”. The first step towards a beautiful, healthy smile is to schedule an appointment. Our scheduling coordinator will contact you to confirm your appointment.